Pisces Container Lines (India) Pvt.Ltd. was formed in the year 2000 for NVOCC Services and freight forwarding operations to various worldwide destinations, to fulfil global ocean freight services for imports, exports and project shipping needs. We are venture promoted by experienced professionals with over three decades of experience, in freight forwarding and shipping related servicess with a view to cater to the ever growing demand for competitive as well as qualitative logistic services for exports as well as imports both air and sea. Aquarius Logistics Pvt Ltd was taken over By Pisces Container Lines in January 2006 to provide LCL consolidation to clients.It offers LCL hub consolidation on a regular basis from numerous inland conatiner depots (ICD) to various global destinations through the gateway ports of Nhava Sheva near Mumbai on the West Coast of India and Chennai in South India. We believe in implementing customized integrated logistics programms to help you manage materials, products and information from vendors straight to your customer's door-step. With integrated logistics, both you and your customers benefit from enhanced customer service and manage total logistic costs. The activities would center on booking of vessels for the clients for their merchandise and coordination with clients and shipping line in acheiving the international standards for punctuality and smoothness in operational formalities. we offer extensive LCL and FCL services to and from destinations across various sectors of the Globe .Its consolidation services can effieciently handle a wide range of cargo, irrespective of size, weight or volume. Our global presence is acheived through its partners in Far East, USA, Canada, the Middle East, Africa, Australia, New Zealanad, Europe and the Mediterranean ... prestigious and reliable globlal logistic companies. Our global presence has drawn to itself a clientele of well-known exporters, importers, custom brokers and reputed global forwarders from all over the indian sub continent. This is not a statement we take lightly. It is our philosophy, and a philosophy shared by all our employees. The goodwill and solid relationships that we have built for our clients are assets, which no competition can ever destroy or take away. We have gained a great deal of experience since our inception. The renowned quality of our import, export and transportation services has very much contributed to our success and our worldwide reputation. Our strategic alliances are superior to the other major carriers. We are leading company in implementing custom-tailored integrated logistics programs to help you manage materials, products and information from vendors straight to your customer's door-step. With integrated logistics, both you and your customers benefit from enhanced customer service and manage total logistic costs. Our logistics specialists engineer solutions by selecting the capabilities best suited to your company. We weave our land & ocean transportation, warehousing, trade consultation and distribution services with information tools to create an integrated programme designed especially to your advantage. We have in-depth and wide experience in LCL hub consolidation and also offers both inbound and outbound cargo from all the major airports in India. Tie-ups with its reputed global associates ans strong and effiecient working relationship with international airlines, helps us to offer cost-effective,efficient and reliabble airfreight movement around the globe. 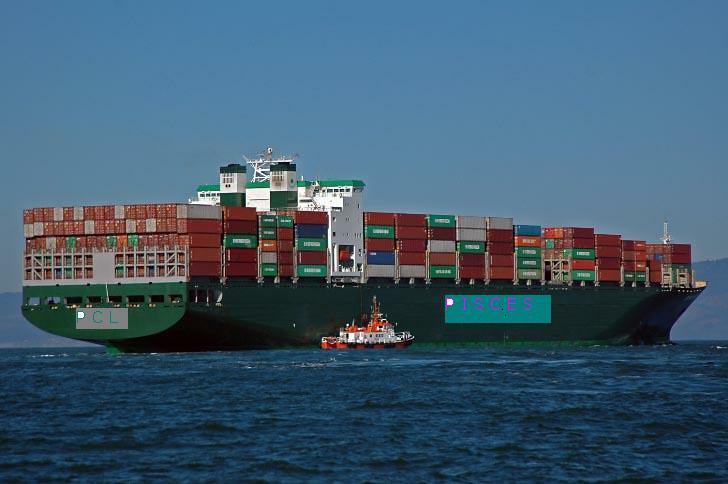 Pisces Container Lines (India) Pvt.Ltd. was opened for NVOCC and freight forwarding operations and to establish association with leading international freight forwards and Shipping Lines. We are venture promoted by experienced professionals in the field of freight logistics with a view to cater to the ever growing demand for competitive as well as qualitative logistic services for exports as well as imports both air and sea. We are presently a Private Limited organization aided by professionals with excellent contacts in the field of freight forwarding and logistics. Aquarius Logistics Pvt Ltd was taken over By Pisces Container Lines in January 2006 to provide LCL consolidation to clients. Aquarius is a full member in INdia of the HABA global Assocaiation for . We believe in implementing customised integrated logistics programs to help you manage materials, products and information from vendors straight to your customer's door-step. With integrated logistics, both you and your customers benefit from enhanced customer service and manage total logistic costs. The activities would center on booking of vessels for the clients for their merchandise and cordination with clients and shipping line in acheiving the international standards for punctuality and smoothness in operational formalities. Our global presence has drawn to itself a clientele of well-known exporters, importers, custome brokers and reputed global forwarders from all over the indian sub continent. PISCES CONTAINER LINES (INDIA) PVT. LTD.